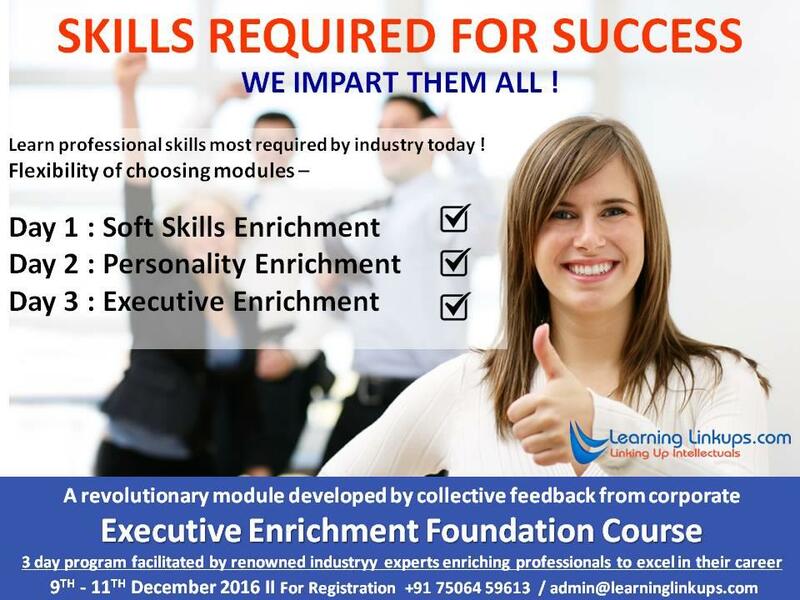 The corporate industry today demands their executives to be proficient on essential personal,social and professional skills in-order to utilise their true potential for desired growth. It is important for the industry to realise that these skills are gone beyond basic and they have an important role to play in the way a professional performs in the organisation. It is equally imperative for professionals to realise the importance of these skills which are conducive to enhance their performance by imbibing them in their work ethics. 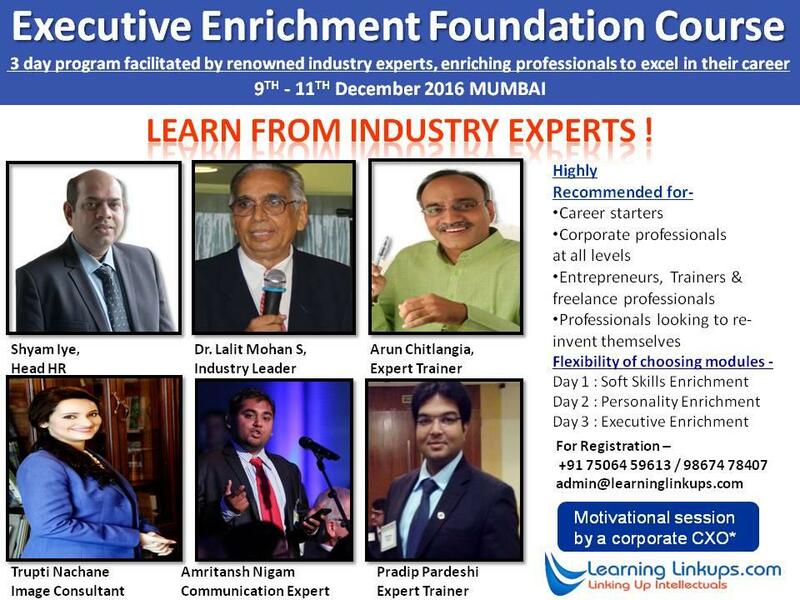 The aim of this workshop is to enrich professionals with these skills and embellish them to foster growth in their careers. 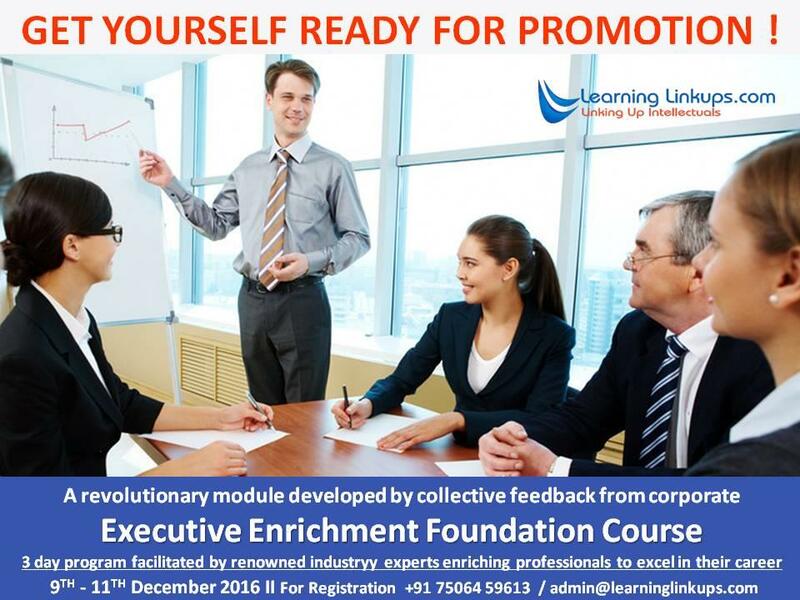 The 3 day foundation course is carefully designed on collective feedback from industry about the most basic skills that every professional should posses. The course will form building block for professionals and is designed as 3 blocks which can be flexibly opted for, a professional can chose to attend either one, two or all the three building blocks. The course is conceptualised on experiential learning, facilitated through invoking individual action, group work, role play and games, to imbibe the skills.